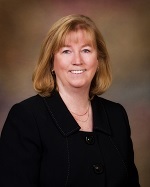 As the Arapahoe County Treasurer, Sue Sandstrom and her Office are responsible for collecting, investing and disbursing County funds. The Treasurer collects property taxes and distributes the revenue to the County and other local governments and public entities, including school districts. In accordance with the Americans with Disabilities Act, information may be available in alternative formats upon request. Please contact the Treasurer's Office at 303-795-4550 for further assistance. Applications for the Senior / Military Deferral are accepted Jan. 1 through April 1. For more information, contact the Treasurer's Office at 303-795-4550 or view the Rebates, Exemptions and Deferrals brochure.